Orson Welles's career is a tale of genius, compromise and heartache. By the time he was hired to direct Touch of Evil in 1957, he was already regarded as something of a spent force, a man who peaked with his debut and had grown into a liability for studios. 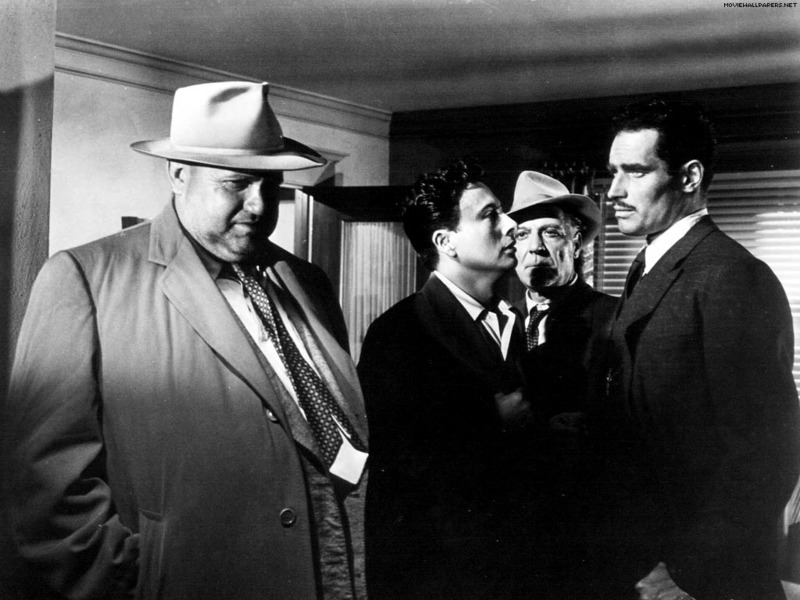 Touch of Evil was supposed to be his way back into the studio system. He delivered the final cut of the film on time and on budget and felt he had elevated the story into something special with his dynamic direction and close work with the actors. The next thing Welles knew, Touch of Evil had been reedited by Universal into something that he recognised only as a cheap, chopped-up version of the film he wanted it to be. It had lost almost twenty minutes and some of Welles's most daring stylistic choices had been discarded. Frustrated and angry, the director wrote a 58-page memo explaining what exactly he felt the film needed to be to achieve its maximum potential. His plea was ignored. It is natural to take sides with the aggrieved artist in situations such as this, but looking back, perhaps it's not so hard to understand why Universal hesitated over releasing Touch of Evil as Welles presented it. They expected to sign off on a straightforward cop thriller with big stars that they could sell to a mass audience, and they were surely knocked off balance by the film they received. Touch of Evil is overblown, lurid and morally ambiguous; full of mannered performances and grotesque close-ups of sweaty, leering faces. For all these reasons we can understand why Universal hated it, but it's for all of these reasons that I love it. Welles knew what he had with Touch of Evil. The story is a piece of trashy pulp noir, and he plays it to the hilt, developing a menacing, seedy atmosphere that permeates every corner of the cheap bars and motels that the film takes place in. It's the story of a police investigation into a car bombing, which is depicted at the start of the film in one of the most audacious tracking shots ever conceived and executed on film. Shorn now of the opening credits and Henry Mancini's score, the restored version of Touch of Evil allows us to appreciate even more the brilliance of this sequence, with the tension being developed through the deliberate camera movements and use of diegetic sounds. Welles also introduces two lead characters as the car, carrying its ticking cargo, drives past, with Mexican cop Vargas (Charlton Heston) and his new bride Susie (Janet Leigh), who are drawn into the plot when the car explodes just as they share a kiss. Enter detective Hank Quinlan, a larger-than-life character unforgettably played by Welles, who looms into view hobbling on a cane and casting a narrow eye over the Mexican cop daring to enter his jurisdiction. Quinlan is one of the great screen antagonists; a casually racist detective who always gets results and is willing to play fast and loose with the facts and due process in order to obtain them. He has some marvellous scenes with Heston ("You bet your sweet life I won't" Quinlan retorts when Vargas insists that he won't have any trouble from him) but the scenes that really sting occur between Welles and Marlene Dietrich, making an indelible cameo as a fortune teller who once shared a relationship with Quinlan. A lifetime of regret lingers in their brief interactions. "You haven't got any," Dietrich tells Quinlan when he asks her to read his fortune, "Your future's all used up." Touch of Evil is not the perfectly crafted masterwork that Citizen Kane is, but I'd argue that it's something even better. It's a huge, bombastic affair and the style of the thing overwhelms the stodgy story – but what style. The bravura opening sequence suggests right at the start that this is a director utilising his full box of tricks. Every time I watch Touch of Evil I'm staggered by his striking camera angles, thrilling long takes, superb use of light and shadows, and bold editing patterns. I love Touch of Evil because it gives us Welles at his most adventurous and daring, and because it represents the last flowering of his undeniable brilliance within the studio system. He was some kind of a man. There have been many different versions of Touch of Evil, and this new Masters of Cinema package brings the all the cuts and offers them in both the 1.85 and 1.37 aspect ratios. 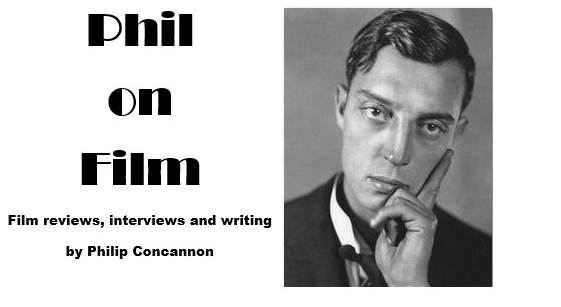 There are fantastically informative commentaries and documentaries, as well as the customarily fascinating Masters of Cinema booklet, all of which shed fresh light on the film and its troubled history. This really is the only Touch of Evil you'll ever need. Touch of Evil is available on Blu-ray now.